We live and work in an ecologically unique region. 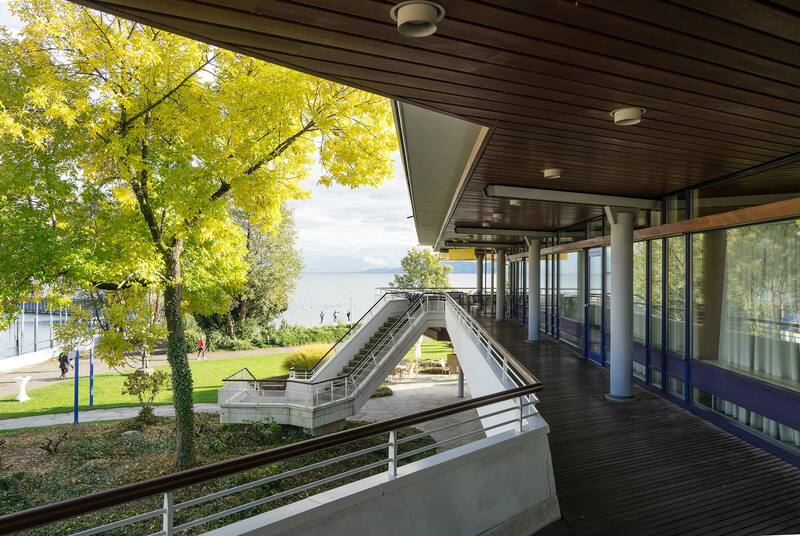 The Graf-Zeppelin-Haus cultural and conference centre is located directly at the shore of Lake Constance. The lake in the middle of the triangle bordering Germany, Austria and Switzerland not only acts as the drinking water reservoir for millions of people, but is also the leisure paradise for holiday-makers from all over the world, and a popular destination for conferences and conventions for national and international customers alike. We are well aware of our sensitive and ecological environment and ensure that we act accordingly. Taking responsibility is a matter of course for us, and this is reflected in our day-to-day work - above all with respect to our environment. This not only concerns topics such as anti-pollution or energy saving measures, but also the social and socio-political arenas. 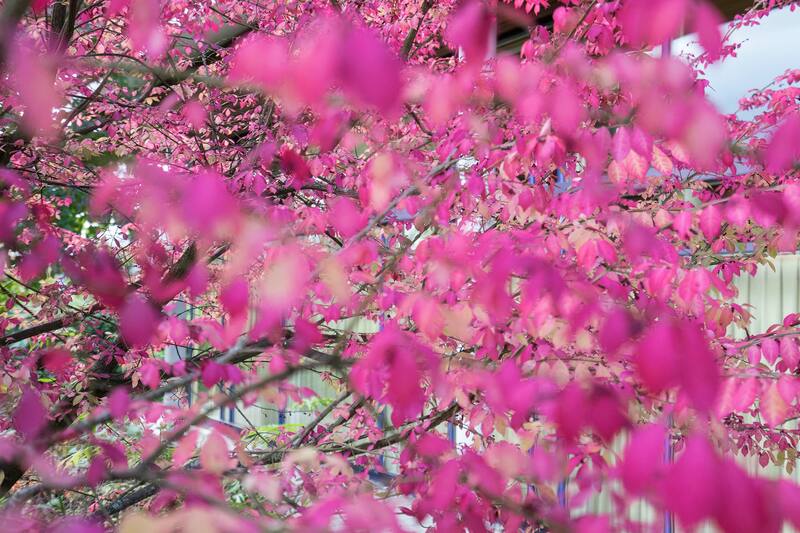 We think and act holistically. Flexible energy-saving programme by switching from gas to oil in peak consumption times. Sophisticated control programmes for light and ventilation in the underground car park; i.e. every second lamp in the approach and exit area can be systematically controlled. Consistent use of motion detectors instead of conventional light switches. Gradual change of the lighting equipment to modern and economic LED systems. Ecologic aspects - use of natural resources. Lake Constance is right on the doorstep - an extensive energy reservoir that we make careful use of. 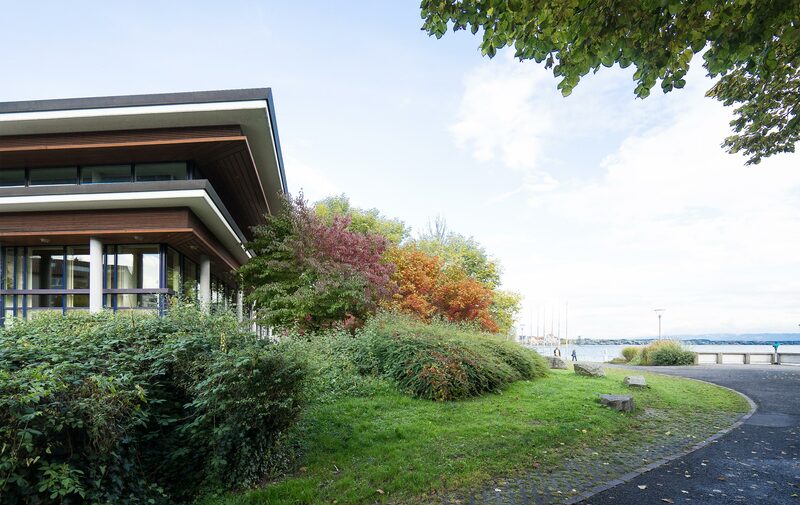 Together with heat pumps and cooling units we use Lake Constance's water to heat and cool our building. By using the lake's water we replace fossil fuels and thus actively contribute to the conservation of these increasingly scarce resources. As a result up to 30 % of our energy is generated by the lake's heat. Central location - avoidance of traffic: 1,000 hotel beds are within easy walking distance of our venue. Regional catering - Our region offers the finest cuisine. Our range of culinary offerings focuses on fresh products from our immediate surroundings. 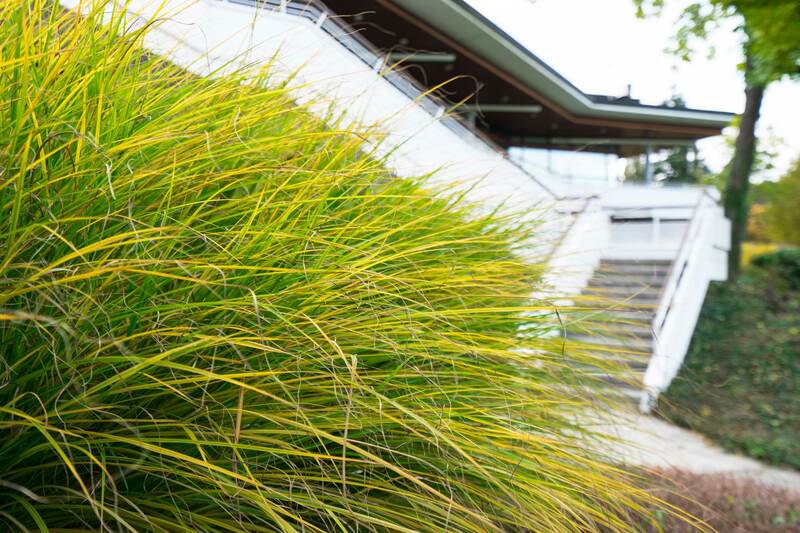 Up to 100 committed employees take care of our 300,000 visitors each year. The "Structural preservation and safeguarding of jobs" field is therefore a top priority within our corporate objectives. Our visitors are warmly welcomed by people who enjoy working, who are taken seriously at their workplace, and whose opinion matters to us. Regular training sessions ensure that the know-how of all teams is up-to-date - an important part of our service pledge towards our customers. Health conscious. We offer our employees active and sportive programmes as well as recreation and relaxation rooms..
Safety is paramount. Our in-house evacuation policy ensures fast evacuation in case of emergency. Staying on the ball - keeping up-to-date via training sessions. An extensive seminar and training programme ensures that our employees always have their finger on the pulse. Disabled-friendly facilities - from the induction loop as an orientation aid for the hearing impaired to the easy access to all levels and rooms for the handicapped - being barrier-free is an integral part of our concept.